Freshly baked luscious pita bread !! 2. Add warm water in yeast & sugar mixture. Mix well. 3. Add 1/4 cup wheat & 1/4 cup all purpose flour in that mixture. Mix well & Keep aside for 15 minutes. 5. Add salt,olive oil flour & maida . Mix to make a nice dough. 6. Transfer the dough on clean greased platform. Knead the dough about 2-3 min. 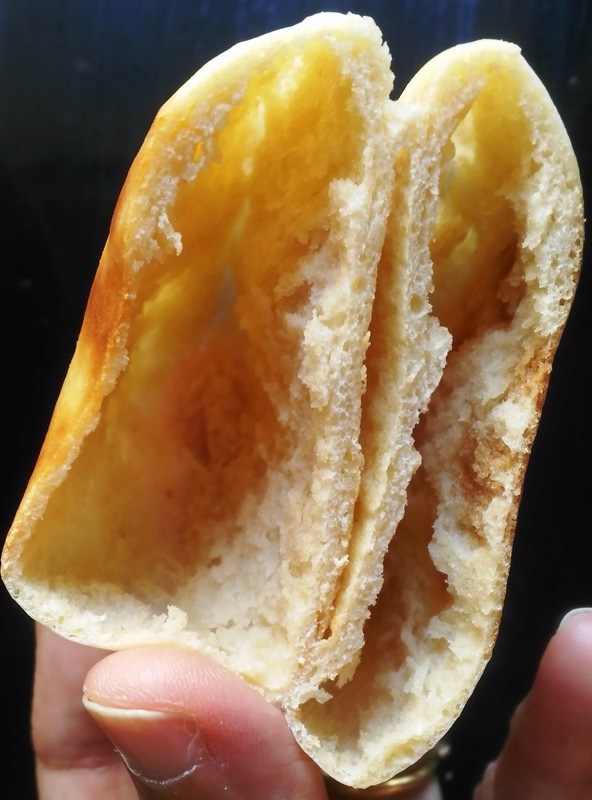 to form soft dough.Use little olive oil if required. .
7. Keep in a greased bowl .Cover the bowl . Let it rest for 1 hour. 9. After 1 hour punch the dough & again knead for about 2 minutes. 10. Prepare 8-12 small balls. With the help of rolling pin prepare discs about 1/8 inch thick. 11. 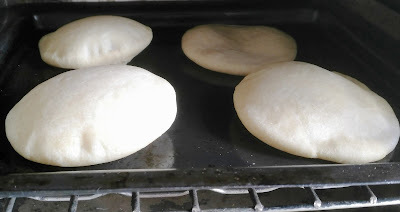 Bake the pita in preheated oven at 200 C for 10 minutes or till light brown spot appears. after 2-3 minutes turn the bread & again bake for 3-4 minutes. 15. Apply butter on the bread when it is hot. Keep in the basket covered with napkin. Enjoy hot home made soft pita bread with any vegetable or baked vegetable!! 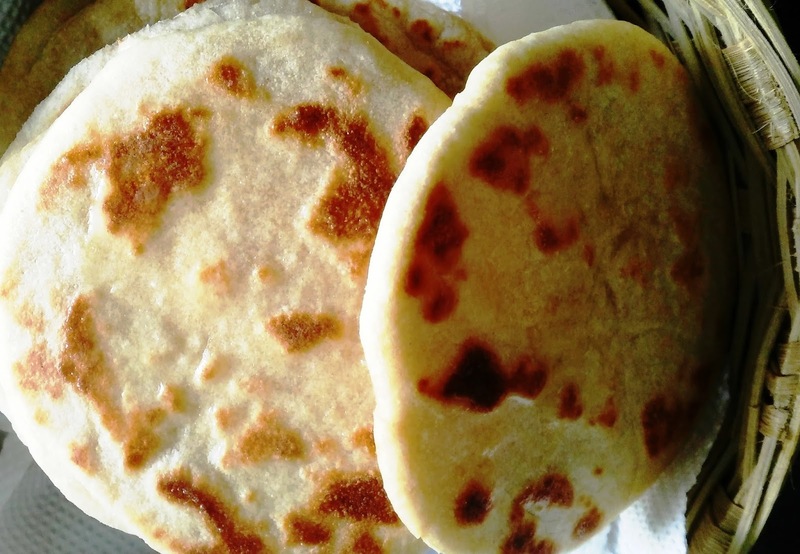 Or you make pita pockets by stuffing veggies or cheese whatever you like!! How long do these remain fresh ? Can I make them one day in advance and how to keep them fresh ?